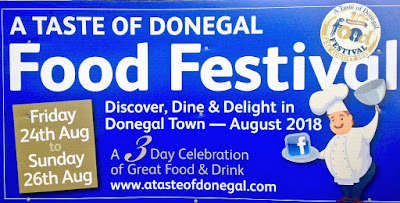 10 years ago a small committee came together to host a food festival in Donegal Town. 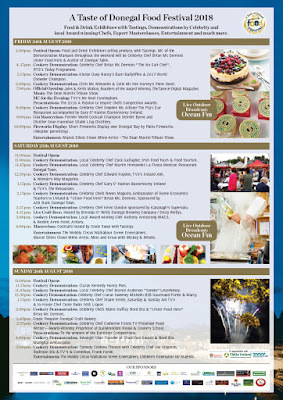 From it's humble beginnings in 2008, A Taste Of Donegal Food Festival, has evolved into one of the leading and most respected food festivals in the country. Celebrating its 10th Anniversary this year, the food festival, being held on Friday 24th to Sunday 26th August, is gearing up to be the most wonderful and exciting food festival in the Irish foodie calendar with record numbers of visitors anticipated. 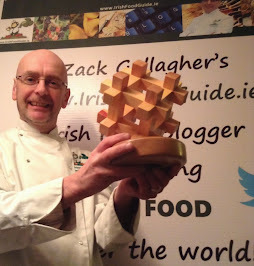 Chairperson Ernan Mc Gettigan, is really looking forward to this year's event, "We now attract Food Lovers from all over the world to our beautiful tented village on the Pier in Donegal Town with the backdrop of the Blue Stack Mountains and the Atlantic Ocean," he said. "Every year we raise the bar and are going from strength to strength. 2018 will be no different. These successes have been brought on by our voluntary committee sitting down after each year's event and evaluating what worked well and what areas need to be improved." This year’s Taste Of Donegal Food Festival once again gathers together Top local Restaurants, Hotels, Food and Drink Providers with guest producers from all over Ireland, with almost 130 renowned exhibitors being showcased this year! The weekend is a great excuse to meander, browse, meet the producers, smell, taste and purchase some of the finest food and drink available from all over the country. Visitors can also sample products which are new and unfamiliar to them as food producers love testing new products at events such as thid. The feedback is invaluable. Alongside all the Celebrity Chefs like Neven Maguire, Kevin Dundon, Gary O’Hanlon, Stephen Mc Allister, Edward Hayden, Catherine Fulvio, Martin Shanahan, Brian McDermott and more, A Taste of Donegal Food Festival always gives young local Donegal chefs the opportunity to get on the stage and show what they can do too! 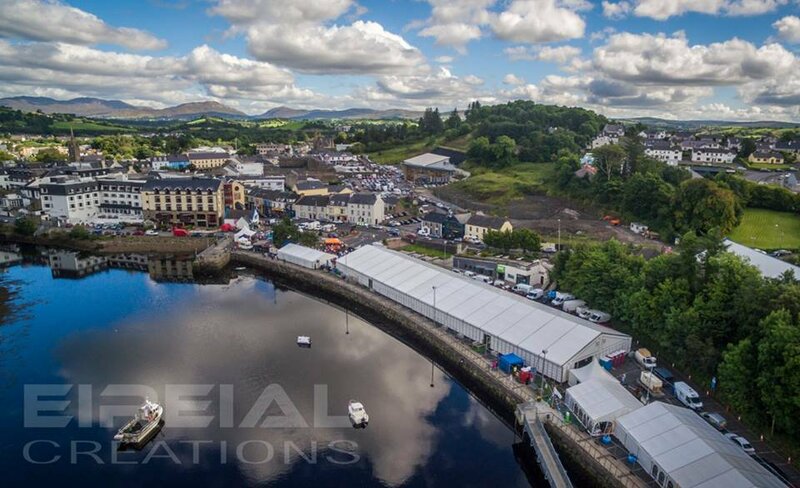 The festival also provides a full entertainment programme throughout the weekend, with Fireworks over Donegal Bay, Live music, Interactive Street Theatre, Family Fun and Mime events. 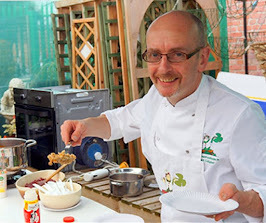 The cooking demos are always great fun and each year more and more celebrity and local chefs are lining up to take to the stage at A Taste Of Donegal. 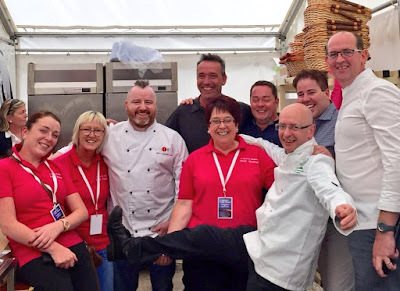 Some of the Taste Of Donegal Food Festival Committee having the craic with some of the Chefs! Organiser, Mary McGettigan, is passionate about making sure that the food producers at the event have a productive weekend and that the visitors who attend see it as the best quality event they can make. "There are a lot of food festivals but what makes us unique is that we focus on building a quality event which is true to food and drink giving many producers the opportunity to promote and showcase their food," said Mary. Our Committee feel that Food Festivals like A Taste of Donegal play a very important role in driving Food Tourism in Ireland by creating a perfect atmosphere and an amazing experience for all involved." 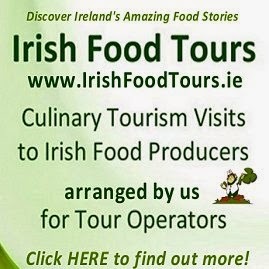 The local Failte Ireland tourist office told us that they recieve growing numbers of enquiries each year by tourism visitors who are looking to book their vacations around events such as A Taste Of Donegal and this all helps to incease the reputation of Irish Food on the world tourism stage. The theme of this year’s festival is its 10th birthday celebration and with 25,000 people visiting the Pier Town last year, Mr Mc Gettigan credits the local community for the success of the Festival. “This is an entirely voluntary community Festival which is brilliant and not every town or village has this, so we’re very lucky,” he said. “The whole community of Donegal Town and County really get behind and support us from our hardworking and dedicated volunteers to community groups, sponsors, businesses and our local media. Personally (being a native of Donegal Town myself) I really love the weekend of A Taste Of Donegal and I help with the social media for the festival over the weekend. You can "graze" your way around the massive food producer's area, taste the most delicious food and try out the newest offering from a growing multitude of local craft beer breweries. Meeting up with friends, family, visitors to the area and chef collegues from all over Ireland and talking foodie things is one of the best ways to spend the weekend. 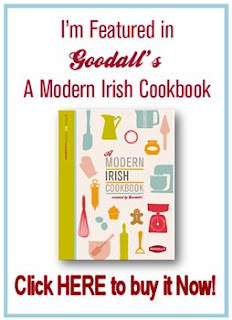 My own cooking demo is on Saturday Morning at 11am so pop down to that if you get the chance. The wonderful Mr Keith Mahon, MD of TheTaste.ie will be hosting this year's official opening of A Taste of Donegal on the Friday evening and there will be quite a few special guests popping up that evening! The motto of A Taste Of Donegal has always been “Discover, Dine and Delight in Donegal Town” and this year, as the food festival celebrates it's 10th Anniversary, this motto rings even more true! Admission to the festival is just €7.00 for adults and €1.00 for children per day. A three-day weekend pass is available for only €18! 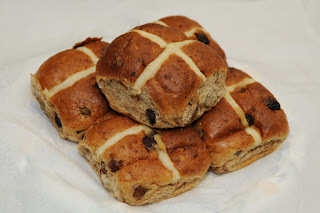 For more information on A Taste Of Donegal, Follow A Taste Of Donegal on Facebook Here, on Twitter Here and visit the Website at www.atasteofdonegal.com. WIN A WEEKEND PASS FOR TWO PEOPLE FOR A TASTE OF DONEGAL FOOD FESTIVAL! A Taste of Donegal Committee have kindly given us A Weekend Pass for Two People to WIN here on the Irish Food Guide and to Enter all you have to do is LIKE the Donegal Food Festival's Facebook Page below and leave a comment on their page saying "I Love Donegal Food"
Closing date for this competition is Thursday 23rd August at 8pm and the winner will be contacted with details of how to collect the Weekend Pass. And the WINNER is PJ Dunleavy, via Facebook. We'll be in touch to send you the Passes! See you all in Donegal!